If you own a horse tack and equipment retail business, also called Equine Products Retail Sales, you have a commercial venture that needs to be well insured. Besides tack and horse equipment, you may sell gift items, clothing, books, videos, and commercially made horse feeds. 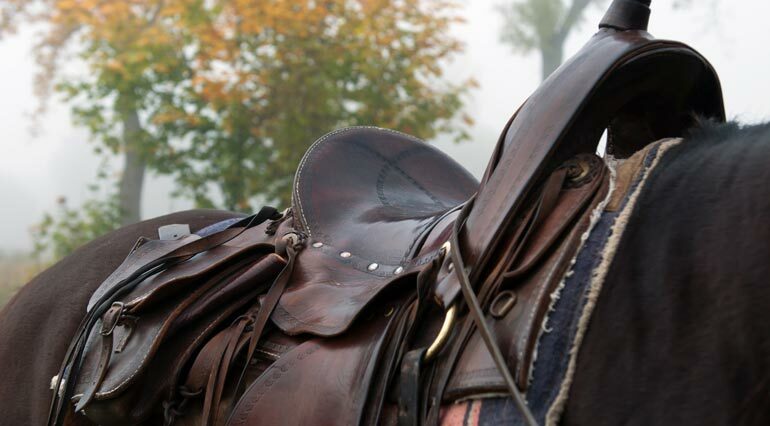 Often a diversified horse operation that does boarding and training may have the traffic to branch out into tack and equipment sales, and this can usually be insured under a Horse Farm, Stable & Ranch Insurance Package Policy. This is the best solution for coverage because it can include coverage for your stock items in addition to general liability and products liability coverage. If not possible to insure in this way, we can insure it for liability under a General Liability Policy. Exposures are primarily in someone becoming injured or property damaged when entering the store or from the malfunction of a retail item that causes bodily injury or property damage. If selling commercially manufactured products, usually the manufacturer carries products liability and this lowers your risk of liability in a products claim. However, you can still be drawn into a claim or law suit and would need your own insurance for this possibility. If you sell hay that you harvest, this can usually be insured under a farm policy because it is a farm product. If you manufacture and formulate your own grain feeds, this will be harder to insure. If you manufacture items for sale, such as bridles, saddles, horse carts and wagons, for example, you have a unique products exposure that will likely not be easy to insure under your farm insurance. Also, if you sell licensed items such as horse trailers, you will require special insurance that your farm or liability insurer may not be able to provide. As a retail sales operator, you worry that you may be sued or otherwise have a claim made against you for bodily injury or property damage by a customer, guest or someone else who comes in contact with you or your property. If sued, you will need to hire a lawyer to defend you and you wonder how you would go about doing this. If found negligent or responsible, you would likely have to pay for either a court-ordered or agreed-upon settlement to the injured party. Fortunately, much concern can be relieved when you buy a Commercial General Liability Policy [GL] to insure tack & equipment sales. Commercial General Liability Insurance protects you from financial loss should a customer, visitor, or a trespasser become injured [Bodily Injury] or their property is damaged [Property Damage] in relation to your operations, and they make a claim or file a law suit against you for damages. Such policies also usually include Products & Completed Operations, which is essential coverage for retail sales. How Risky is Tack & Equipment Sales? Low. Because you are selling items that will likely be used with the training and handling of a horse, there is some liability exposure. If you are selling items that are commercially made, your exposure is more limited and this is what keeps the exposure low for liability. Equine Activities Immunities Laws have been passed in 46 states. While these laws may help you avoid liability, they will not usually thwart a determined injured party from pursuing a claim or law suit. This is because to receive immunity under the law, the activity sponsor must have performed in a specific way according to what the law requires. And often immunity is determined through some type of expensive legal proceeding that can result in a large, often uncontrolled expense to an uninsured stable owner. You still need to be properly insured for liability. 1. A customer is injured when entering your store, resulting in a bodily injury claim. 2. A customer or their family member is injured due to the use and malfunction of a tack or equipment item.